Product prices and availability are accurate as of 2019-04-24 00:27:51 UTC and are subject to change. Any price and availability information displayed on http://www.amazon.com/ at the time of purchase will apply to the purchase of this product. The h.S. 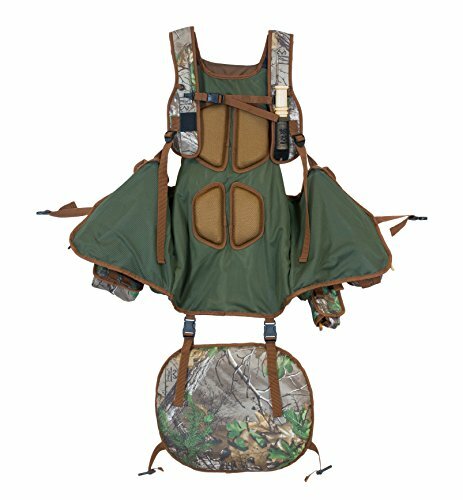 Strut 100014 undertaker turkey vest gives you quality and the ability to customize which sets this vest apart from all others, with a ton of storage space for a variety of calls and accessories. 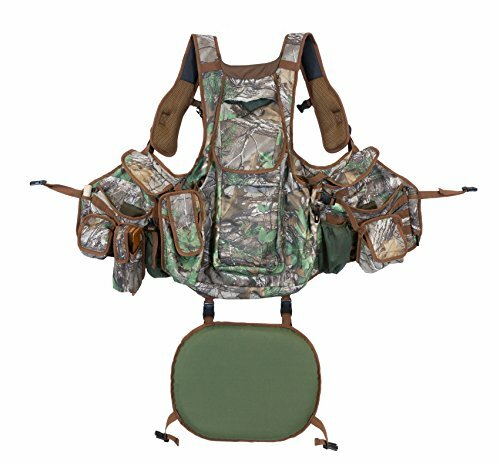 The modular style of this vest allows the Hunter to customize the vest with its interchangeable box & pan call storage pockets. 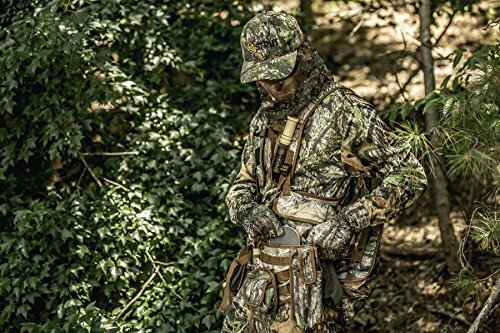 Two power mesh pockets hold rolled up blinds or water bottles, and silent magnetic pocket closures provide quick and stealthy access to internal gear. External striker holsters provide fast and easy striker access so you can change up pan call sounds at a moment's notice. The power mesh locator call pocket with lanyard D-ring will keep your locator call within reach. You'll stay comfortable on your hunt with the padded shoulder straps and soft collar, in addition to raised back cushions and a cooling air ventilation system which allow for a cool & comfortable back while sitting against a Tree. Your bottom is also taken care of with the attached big cheeks foam seat that will flip down easily for fast and comfortable setup. Multiple adjustable sizing points throughout the vest keep things fitted properly to yet again keep you comfortable, stealthy and at the ready. Don't just call gobblers, usher them into the afterlife with the undertaker Series from h.S. Strut. The undertaker turkey vest has a limited lifetime warranty. H.S. Strut defines the Brotherhood of turkey diehards. You see it in our bloodshot eyes, our three-week beards and our floorboards littered with empty cans of energy drinks and matted feathers. You might call it dedication. Others might call it lunacy. We call it strut.